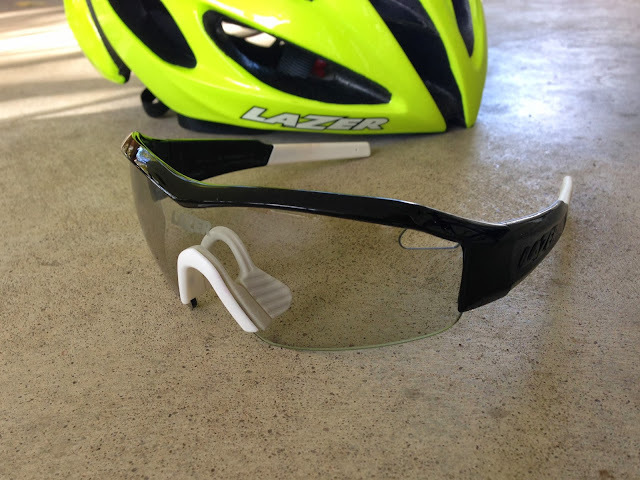 This is the final post in my +Lazer Sport NV sunglass review series. After reading my take on the SS1, please take a minute to check out the first two. I saved the Lazer Solid-State SS1 sunglasses for last, not for any particular reason other than they were the most similar of the three to my Oakley Radar Paths. I wanted to check out the other models first, just to ride something different. While I enjoyed and would still recommend both the unconventional Magneto and the more-conventional Argon AR1, I believe my personal preference remains with the Path/Solid-State styling. It's sleek, provides good coverage and just looks cool. I'll compare the Path and Solid-State later, but want to start out focusing solely on the Lazer frames. The Solid State SS1 is available in the standard colors and finishes. 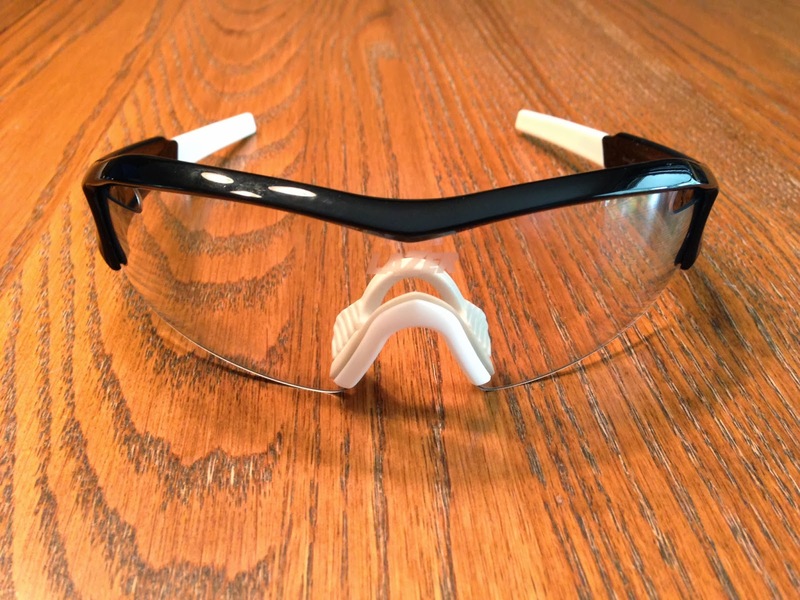 Most of the models come standard with three lenses - Smoke-Silver, Lazer Yellow and Clear. Great options for varying light conditions. Removing the lens is simple, and very similar to what I demonstrated with the AR1s. Chris at Lazer however, sent me the Gloss Black model that comes standard with Crystal Photochromic lenses that self adjust to varying light conditions, making them perfect for dawn/dusk, full sun or pitch black. I personally used them on a number of evening gym commutes that started out at dusk and finished with complete darkness. The lenses appear crystal clear indoors and in low light, but darken completely in under a minute of bright conditions, not just direct sunlight. Photochromic lenses shaded. Note, the purplish shade is an effect of the camera and is not the color of the lenses. I recently had the Solid-States out for a test on an early fall morning and was really happy with what I found. 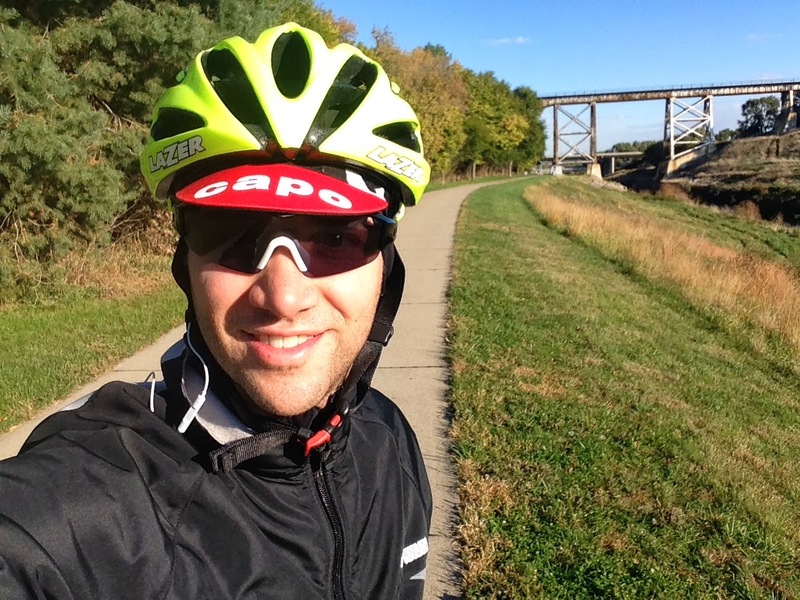 Coverage was good as expected, and Lazer's Flex Frame Technology and highly adjustable temples made fit easy (even over the thermal ear band I was wearing below). I was also super impressed with the optics. I only wish my iPhone camera was good enough to shoot through the lens and capture the fall colors and the sunlight shining on the dew. Okay sorry, that got mushy quickly - let's just say it was a beautiful morning and the lens optics didn't prevent me from enjoying it. Better? The photochromic lenses performed as advertised. I always felt like they were at the correct shading level, no matter where I went. No eye strain and no temporary sun blindness. 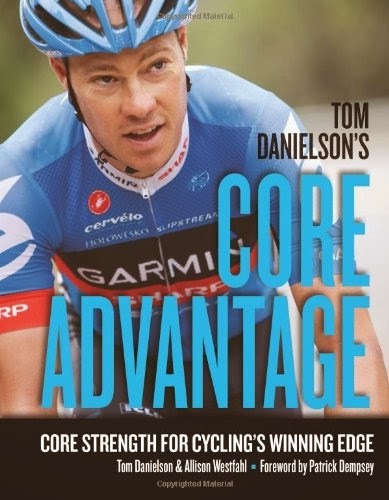 Just the right level throughout the entire ride - even when I got side tracked into a coffee shop mid ride for an espresso and my first sugared cronut (croissant + donut = awesomeness). I could see the sugar perfectly. As I mentioned above, the lenses worked great at night too. In terms of price, whether you opt for a three-lens model or the photochromic pair, you get a TON of value for under $100. Hard case, cleaning bag, solid frames and great lenses. My only gripe with Solid-State SS1, if you can call it a gripe, is that it lacks the flash and crisp styling that other brands like Oakley have nailed. That styling of course, comes at a premium - so you have to be a realist (which I like to think that I am) and pick your poison. The Lazer Vision Optics Solid-State SS1 with photochromic lenses are true all-around sunglasses that belong in everyone's gear lineup. They make me wish I would have given self-dimming lenses a try sooner. The first type of person I think of when I consider a good fit for the SS1 is the weekend club/group rider who takes off at daybreak and gets home before noon (I place myself squarely in this category). Depending on cloud and tree cover, they can be in for varying light conditions and the photochromic lenses on the SS1 would be perfect. Mountain bike riders would also find value for that same reason. Compared to my Radar Paths, I give the style edge to Oakley, call a draw on frame performance and give a nod to Lazer on the lenses. 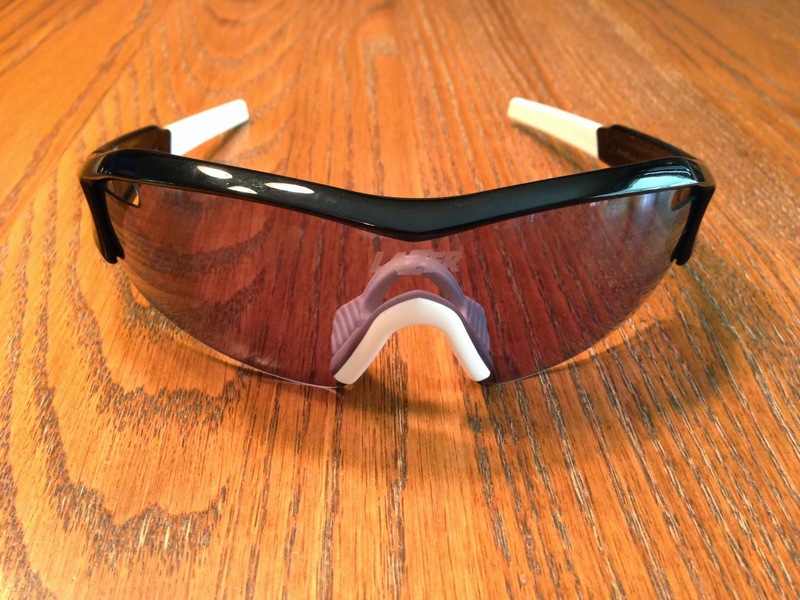 After wearing the SS1s, I find it very hard to justify spending $160 for Oakleys with a single dark lens, let along $260 for a photochromic model. The price of the SS1s just makes sense for riders who want great performance and great value. Finally, you gotta trust these ladies because they would smash all of us on the bike (if we hare honest).